Photo courtesy of Tim Lanier. Pic taken back in 1986 in Tokyo. 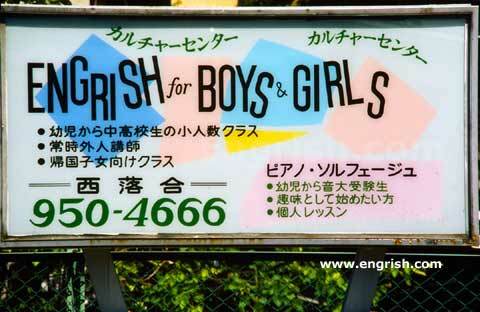 We teach good Engrish for when your kids want to go to Engrand! Our site is now a school, where you learn to be a very bad speller. There’s a great difference: Those people have no idea what Engrish really is. Engrish is made at here!